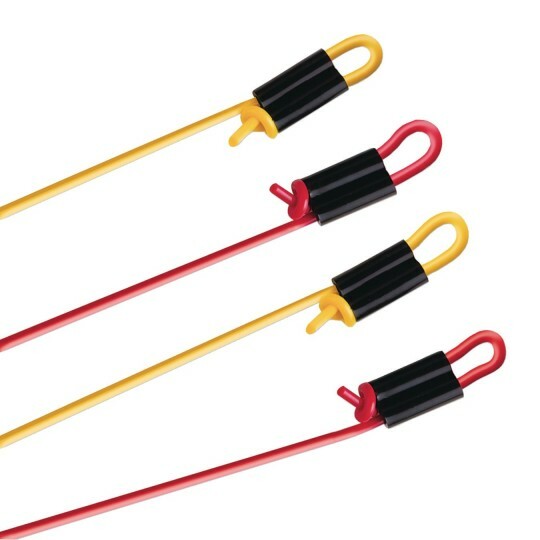 Sets include 2 durable vinyl jump ropes. 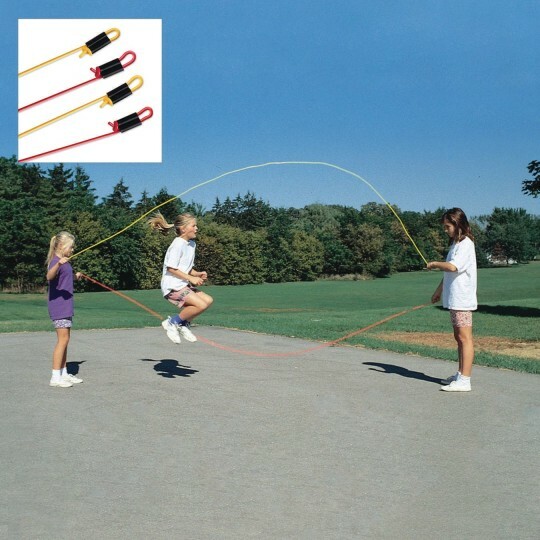 Double Dutch rope sizes include two durable, vinyl jump ropes. Pair. I had buyers remorse on this one. I bought it to use with young children but after seeing a 30 foot cotton clothesline rope for much much cheaper at a store i wish I would have bought that instead. I think it would work better and be safer for young children. Overall durable and will weather well but could use a heavier rope to allow more arc in the turning of the jump rope. Use this product in free playtime during our afterschool program. This product helps kids to learn teamwork and working with others. We find ways to allow students to show their skills with new tricks.